Tami Furlong, Fundamentals owner, poses for a photo in July 1988, just days before the store opened at 26 W. Winter St. in downtown Delaware. Photo by Rex Welker for The Gazette, July 30, 1988. Tami Furlong, Fundamentals owner, stands in her store located at 25 W. Winter St. in downtown Delaware. Furlong said the store originally opened at 26 W. Winter St. but moved a year later to gain more space. 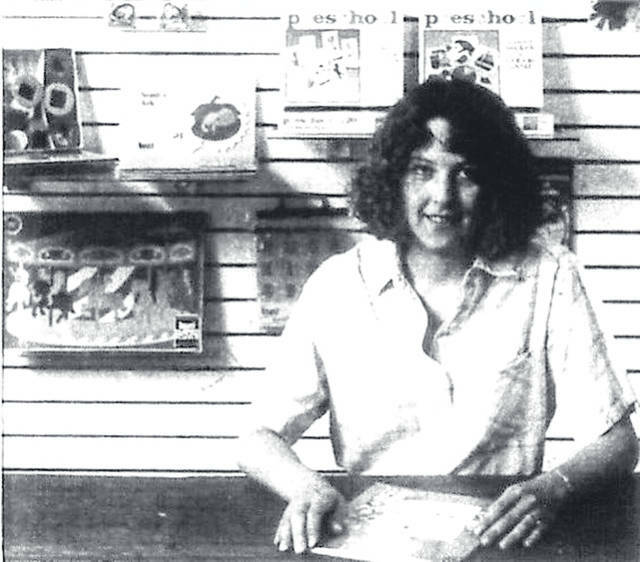 In 1988, Tami Furlong opened Fundamentals so she and local teachers wouldn’t have to go all the way to Columbus to get teaching supplies and educational toys. On Tuesday, July 24, just a week before Fundamental’s 30-year anniversary on Aug. 1, Furlong said that the keys to staying in business is flexibility and the community. “The key to being here for 30 years is flexibility,” Furlong said. Furlong added when she opened in 1988, downtown Delaware was all family owned shops and stores, and then transitioned to an artsy and “boutiquey” type of downtown before becoming home to the restaurants and breweries that exist today. Furlong said Fundamentals has also changed in the last 30 years. The first change occurred just a year after opening when Fundamentals moved from its original location at 26 W. Winter St. to the current location at 25 W. Winter St. to gain more space. 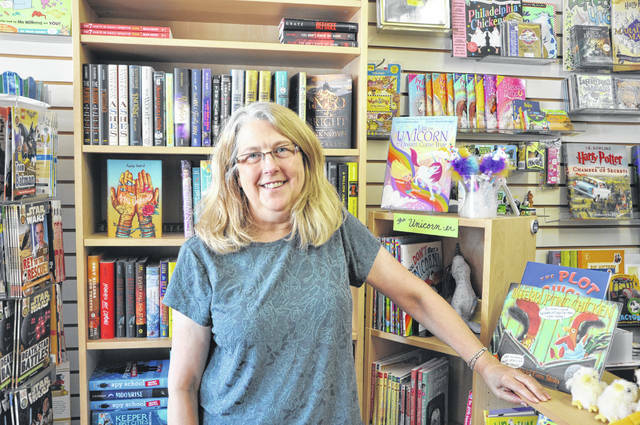 Furlong said she rebranded the store recently to Fundamentals Children’s Books, Toys, & Games, because the store had expanded beyond teaching and educational supplies. Furlong said one of her favorite parts of being here for 30 years has been bringing authors and illustrators to visit the store and local schools. Fundamentals was recently chosen as one of 27 stops on the Scholastic Summer Reading Road Trip and hosted the event on July 22, to resounding success according to Furlong. Furlong said she enjoys seeing so many repeat customers since she opened. She added that she also has to thank her husband and her daughters for their support over the last 30 years. https://www.delgazette.com/wp-content/uploads/sites/40/2018/07/web1_image.jpgTami Furlong, Fundamentals owner, poses for a photo in July 1988, just days before the store opened at 26 W. Winter St. in downtown Delaware. Photo by Rex Welker for The Gazette, July 30, 1988.